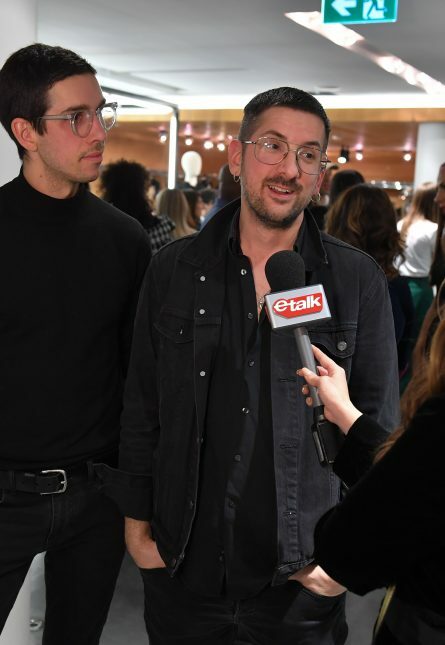 After showcasing their Fall/Winter 2018 collection on the runway at Toronto Fashion Week, UNTTLD designers José Manuel St-Jacques and Simon Bélanger made their way over to TNT The New Trend in Yorkville Village to host an exclusive shopping event for their Spring/Summer 2018 collection, which debuted on the Toronto Fashion Week runway back in September. The S/S18 collection, which St-Jacques says was inspired by “pirate fleets taking on the Spanish Armada,” features plenty of statement stripes, ruffled blazers and delicate lace-adorned power suits, which shoppers, including Handmaid’s Tale actress Amanda Brugel, pored over during the shopping event. TNT founder Arie Assaraf says partnering with designers such as UNTTLD is all about creating a good experience and story for everyone involved. “Because of the space [in Yorkville Village], we can actually collaborate with a lot of designers and we give them a platform,” Assaraf told Baxter.